Discovering the true essence of Pratteln starts with brushing up on a few basic facts. Ready to learn exactly where this alluring destination is and which attractions you should explore? A neighborhood in Basel, Pratteln is 6 miles (10 kilometers) southeast of the center. Forget the attractions — it's the locals that make a place tick. Here in Basel, you'll find 160,000 of them. If you're planning an escape to Pratteln, listen up! You can save heaps by locking in a Travelocity accommodation and flight package deal. Just select from upwards of 400 airline partners and 665,000 places to stay. Too many choices? We'll make it easy for you! Our Customer 1st Guarantee gives you the added comfort of 24/7 personal assistance on everything from flights and accommodations to car rentals and activities. Have you noticed an even better bargain elsewhere? We'll meet the price and reimburse the difference^. With no hidden fees from us, you needn't worry about unforeseen situations arising. And as long as you get in fast, most accommodations don't charge fees either^. If you have your sights set on staying within walking distance of the center of Pratteln, Travelocity has what you're searching for. That said, we only have 3 listed accommodations, so it's best to book early. Secure a cozy room and then start looking forward to the fun stuff! 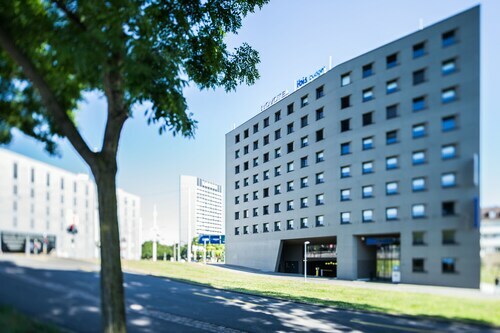 Compare the deals at the Courtyard by Marriott Basel (Hardstrasse 55) and the ibis budget Basel Pratteln (Grüssenhölzliweg 11). These quality accommodations are preferred by many visitors. Where do you fly into for Pratteln? Fasten your seatbelt, switch off the in-flight movie and get ready to descend into EuroAirport (BSL). Want some good news? You'll be only 9 miles (14 kilometers) to the northwest of Pratteln. Can I rent a car in Pratteln? Secure a rental car via Travelocity and get to know Pratteln at your own pace. As soon as you've gotten off the plane at EuroAirport, you'll be able to pick up a car right outside the terminal. Hertz and Alamo Rent A Car are just a short walk from arrivals. A couple of other places to look into include Budget and Europcar. Renting a vehicle shouldn't be difficult to do. So why not get your ride from the peaceful streets of a local neighborhood? 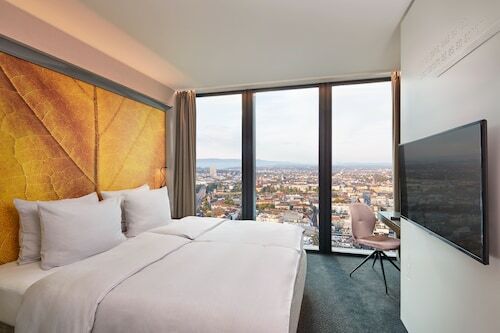 You'll come across Europcar at Messeplatz 25 (Swissotel Le Plaza) in Basel which is only 0.6 miles (1 kilometer) from the city center. Hertz (Nauenstrasse 33) is another place to look into. The human body is more than 50% water. Why not get back to your roots and enjoy a dip at Aquabasilea? But there's more. The connection to ancient history is powerful at Augusta Raurica. Make a booking now and witness the results of significant archaeological excavations. Augst and Muttenz are well worth visiting while you are here. Augst is approximately 2 miles (3 kilometers) away, and Muttenz is 2 miles (3 kilometers) away. 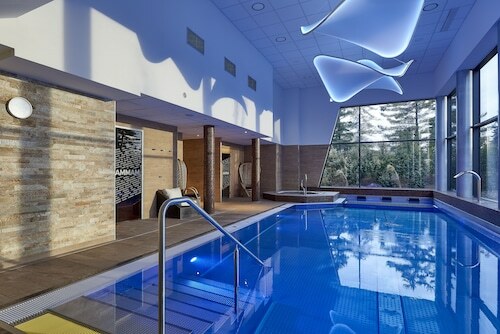 Situated in the suburbs, this spa hotel is 0.1 mi (0.1 km) from Aquabasilea and 2.4 mi (3.9 km) from Augusta Raurica. St. Jakob-Park and Basel Zoo are also within 9 mi (15 km). Pratteln Station is 10 minutes by foot. 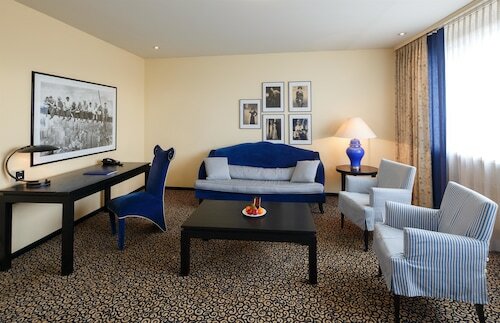 Situated in Pratteln, this hotel is 0.7 mi (1.1 km) from Aquabasilea and 1.8 mi (3 km) from Augusta Raurica. St. Jakob-Park Shopping Centre and St. Jakob-Park are also within 6 mi (10 km). Pratteln Station is 12 minutes by foot. 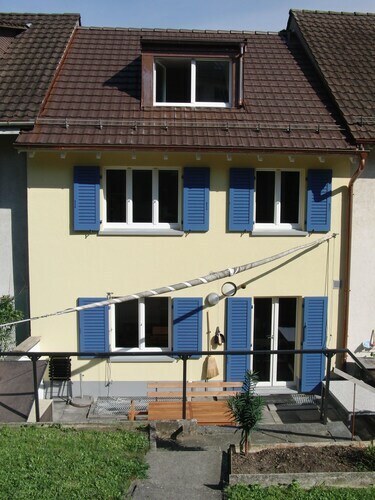 Located in the heart of Pratteln, this bed & breakfast is 1.1 mi (1.8 km) from Aquabasilea and 2.5 mi (4 km) from Augusta Raurica. St. Jakob-Park Shopping Centre and St. Jakob-Park are also within 6 mi (10 km). Pratteln Station is 13 minutes by foot.